Springtime means snow melt, which means it’s time for fun on the rivers! 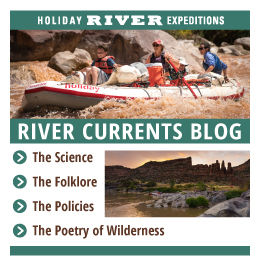 Here are our top five reasons to get out on a springtime river rafting vacation and experience the best whitewater on the rivers. Spring run-off usually means big water, which is the sweet spot for anyone who wants to whoop and holler down the rapids. Although the previous winter’s snowpack will determine ultimate flows, rivers generally run at full force by late May through June. Summertime is the natural draw for most people, especially those with families. A springtime trip can be a little less crowded on the river. 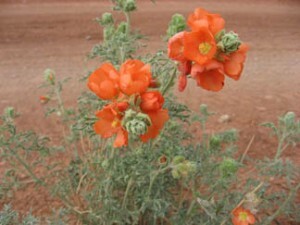 Gorgeous flowers explode in the desert in the springtime. At camp, lunch stops, or flatwater sections, you may have the chance to examine beautiful blooms up close with your eyes as well as your camera. When you’re on the river, you don’t get a lot of shade. Beat the heat by booking a spring rafting trip so you can enjoy cool breezes rather than needing to rely on them for relief from the sun. 5. Steal of a deal. Sometimes springtime trips don’t book up as fast as in the more popular summer months, which can mean springtime sales! Scope out for the best deals and get ready to put-in to the best flows of the season. Julie is a freelance writer and wilderness guide in southern Utah. She especially enjoys books, coffee, yoga, wild country, horses, and dark chocolate.